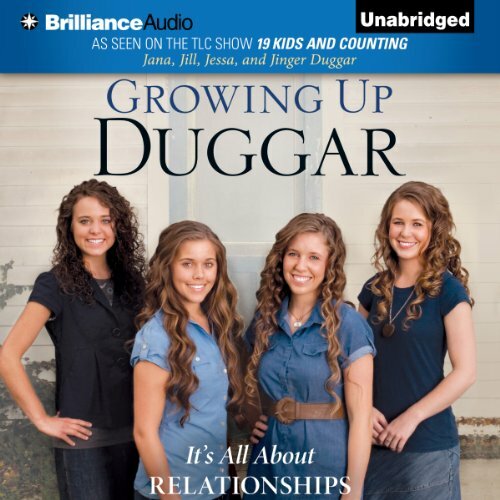 Showing results by narrator "Jessa Duggar"
In a rare look inside America’s favorite mega-sized family, the four eldest girls talk about their faith, their dreams for the future, and what it’s like growing up a Duggar. Airing weekly throughout the United States, the United Kingdom, Australia, and New Zealand, 19 Kids and Counting has made the huge Duggar family into a media phenomenon. Now, the four eldest Duggar girls—Jana, Jill, Jessa, and Jinger—open up about the blessings and advantages of living the Duggar lifestyle. Building Blocks of a Family!